Zombie films are always fun. Unfortunately, with the rise of popularity in that genre, there are many snoozers out there. With that in mind, it is always hit and miss when I pick one up. 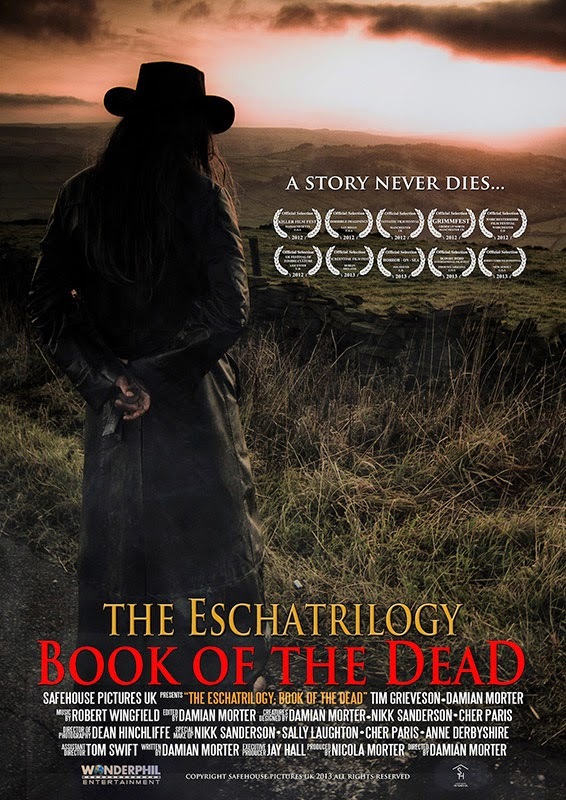 Next up is another independent zombie flick, 2012s The Eschatrilogy: Book of the Dead. Plot/ A dark figure appears in the night, bringing with him a virus that turns people into monsters. Hoping to gather stories to take back with him to the other side, he meets his opposite, a light figure prepared to do battle with the dark man in order to save the human race. With my quarter finally over and my vacation started, it is finally nice to be able to sit down and catch up on the last few movies that I watched last week. 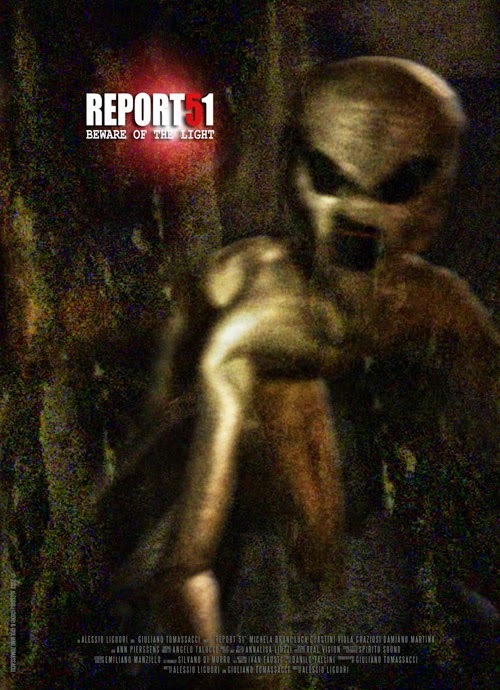 Next up on the chopping block is the 2013 found-footage flick Report 51. Plot/ After a strange sighting, four friends decide to move in the near woodlands to investigate. Soon their weekend becomes a nightmare and a race for survival. This has been a long week as the quarter came to an end at the institute and another class has graduated. This one was one of the better classes and was a constant source of entertainment. I will definitely miss them. 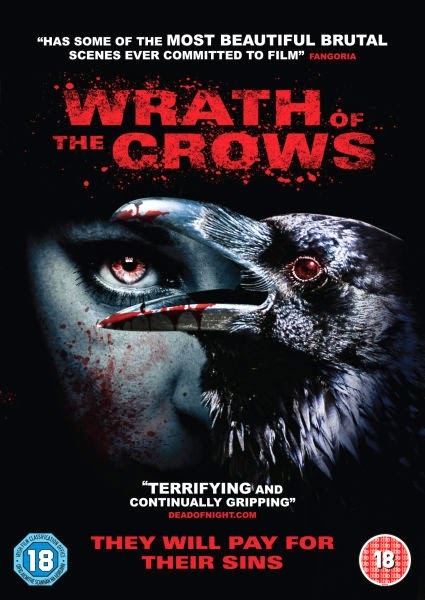 Now, catching up on some more of the movies from the weekend, next up, 2013s Wrath of the Crows. Plot/ In a dirty, squalid narrow jail, prisoners are forced to suffer injustices both from their guards and the ruling officer. Feared by all, however, is a man nobody there has ever seen -The Judge. When new prisoner Princess arrives, seemingly out of nowhere and dressed only in a crow's feathers coat, her radiating and sensual appearance begins to cause curiosity but also envy, suspicion, and a deep sexual agitation. After spending too much time on cheesy creature features, it was nice to find some other flicks that took me into different categories. 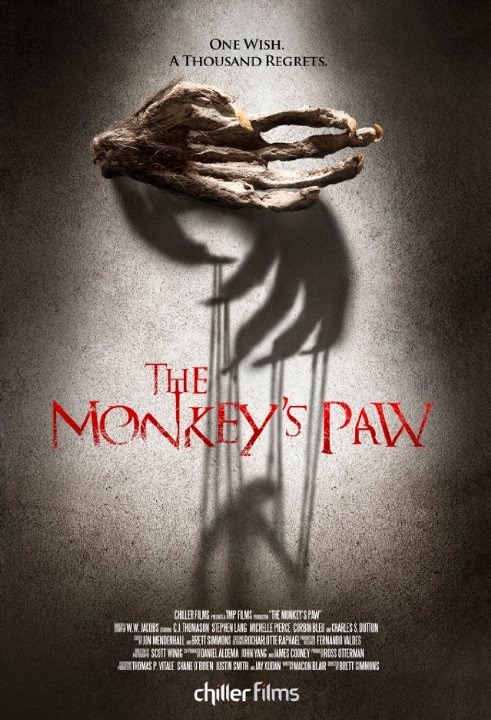 One such film is my next review, the 2013 horror / thriller The Monkey’s Paw. Plot/ Jake is given a monkey's paw that grants three wishes. After the first two wishes leave his friend Cobb undead, Cobb pushes Jake to make a final wish. I am starting to become a huge fan of Chiller Films. This movie was definitely much better than what I expected to find. There was a lot to like in this one with solid acting, a decently original storyline, and cinematography that worked to create a heavy atmosphere. Sure, there were some cliché moments and some of it was predictable, but that did very little to bring the overall product down. In the end, this one may not win an Academy Award but it is an entertaining flick that does a great job at bringing a classic tale into the modern world. Give it a shot! Watching The Exorcist was fun. Unfortunately, that was about the only decent movie I picked for the weekend. For some reason, I was stuck on this creature feature kick and suffered through more than my share. Next up, The SyFy Channel original Breast of the Bering Sea from 2013. 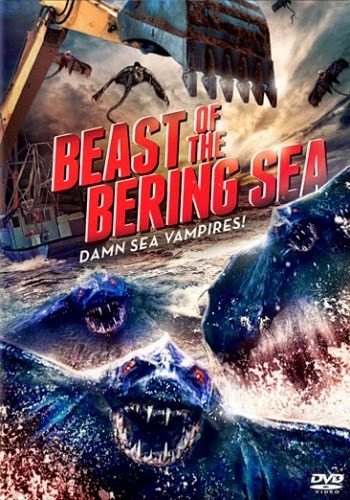 Plot/ While dredging for gold beneath the Bering Sea, siblings are confronted by a horde of horrific sea vampires. When their father falls victim to the insatiable creatures, they join forces with a dedicated marine biologist and a loyal deckhand to kill or be killed by the beasts. As I sit here watching The Exorcist with the twins, I figured it was time to pull together my next review. While the next movie on my list will never rise to the status of the classic I am watching, it was a solid entry. 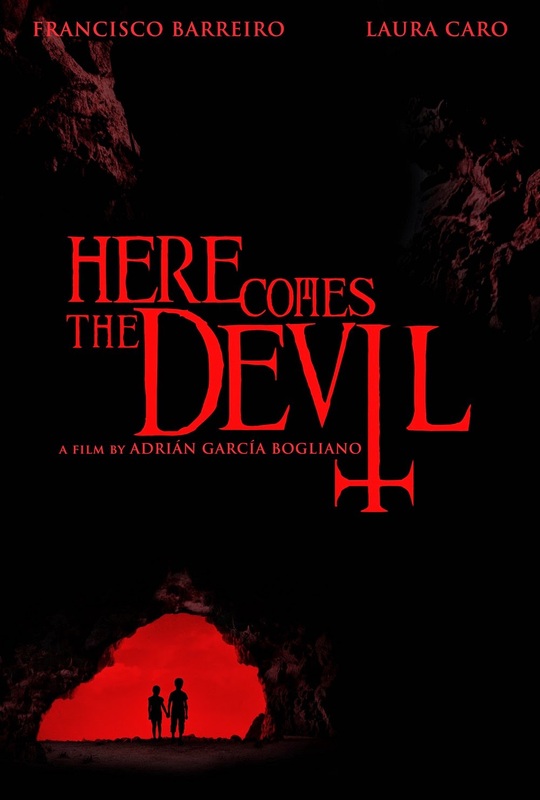 That film is the 2012 import, Here Comes the Devil. Plot/ A married couple lose their children while on a family trip near some caves in Tijuana. The kids eventually reappear without explanation, but it becomes clear that they are not who they used to be, that something terrifying has changed them. After a few days of softball, I decided to watch a couple flicks tonight. I wanted to start with something cheesy, as one can never watch enough low budget creature features. 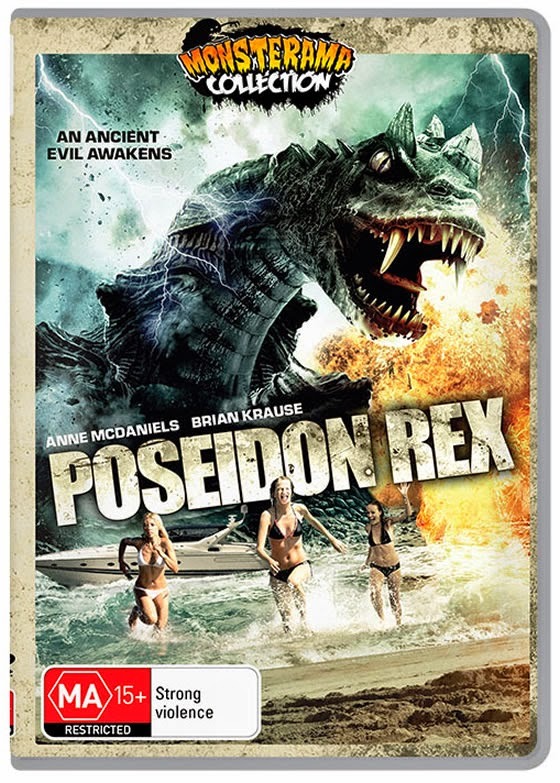 First, up for the weekend, Poseidon Rex from 2013. Plot/ A small, secluded island off the coast of Belize suddenly finds itself terrorized by a deadly predator from the planet's distant past when deep sea divers accidentally awaken an ancient evil. Plot/ When a group of archaeologists open a lost pyramid in Maine they trigger terraforming mechanism and start a chain of events that may very well end the world as we know it. I went into this expecting the typical SyFy Channel entry and that is about what I found. While it does suffer from many of the flaws or their typical entries, I found this one to at least boast a somewhat original storyline and idea. Yes, there were issues with low budget sets, uneven acting, poor dialog, and the unreal CGI that is more laughable then believable. While this movie is far from perfect, it was decently entertaining and fun to watch. 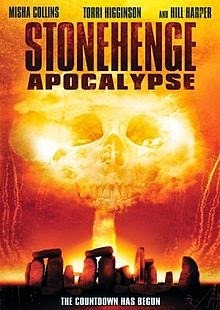 Yes, it is a low budget cheese, but it is one of the more interesting SyFy Channel entries in the past few years. With another Monday in the books and I am now venturing into the world of True Detective, it is time to dive back into the blog. I did catch many interesting flicks this weekend, and I will have plenty of reviews to pull together in the coming days. 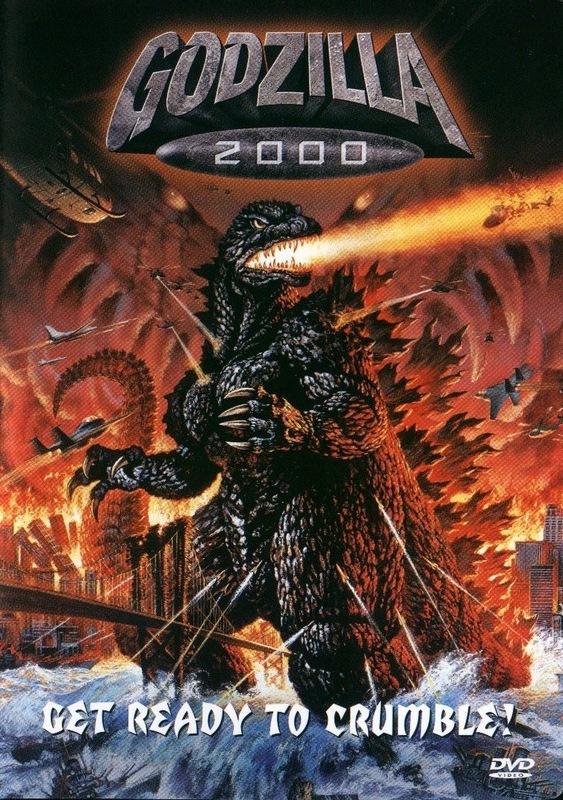 Next up, the often-overlooked Godzilla 2000. Plot/ Godzilla returns in a brand-new movie that ignores all preceding movies except for the original with a brand new look and a powered up atomic ray. This time he battles a mysterious UFO that later transforms into a mysterious kaiju dubbed Orga. They meet up for the final showdown in the city of Shinjuku. Now that I have finished my homework for the week, it is time to write up another review for the blog. This has been a great weekend and I have a ton of movies to write up, but need to find some time to get there. 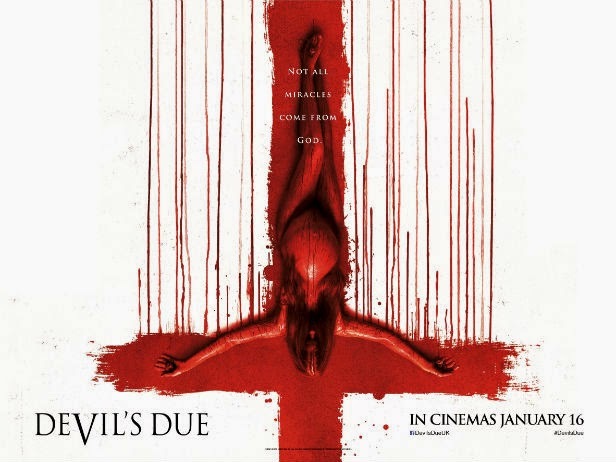 Next up on the list is the 2014 found-footage flick Devil's Due. Plot/ After a mysterious, lost night on their honeymoon, a newlywed couple finds themselves dealing with an earlier-than-planned pregnancy. While recording everything for posterity, the husband begins to notice odd behavior in his wife that they initially write off to nerves, but, as the months pass, it becomes evident that the dark changes to her body and mind have a much more sinister origin. With yesterday being Friday the 13th, I wanted to spend the evening engrossed in some different elements of horror and Sci-Fi. 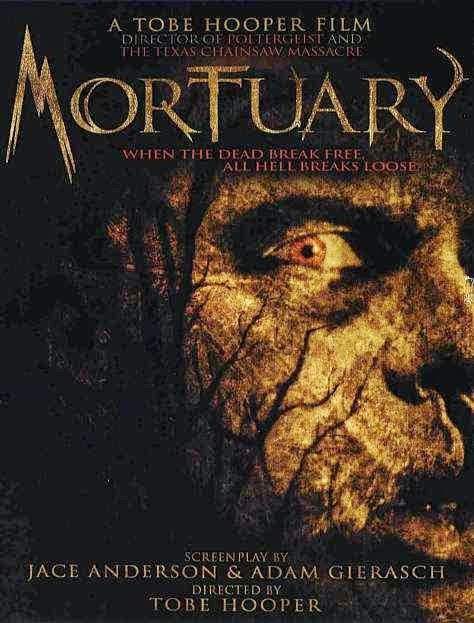 One of the first flicks I decided to watch was Tobe Hooper’s Mortuary (2005). Plot/ A family moves to a small town in California where they plan on starting a new life while running a long-abandoned funeral home. The locals fear the place, which is suspected to be on haunted ground. While I did take off a few days from the blog to finish some homework assignments, I did watch a few interesting movies. 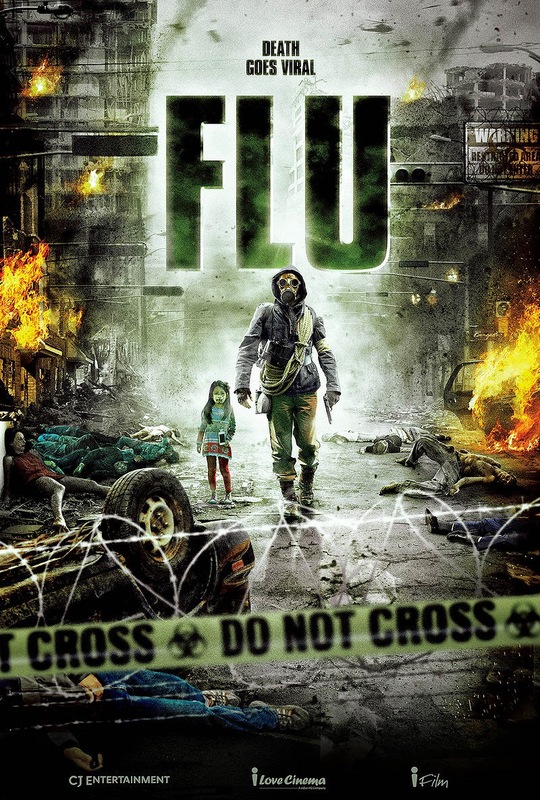 One of the first ones that I watched this week was the South Korean entry Flu from 2013. Plot/ People are helpless against the airborne disease and the number of infected increases quickly, spreading chaos. As the worst-case scenario precaution, the city of half a million people, just 19 kilometers from Seoul, is about to be sealed off. The government orders a complete shutdown. 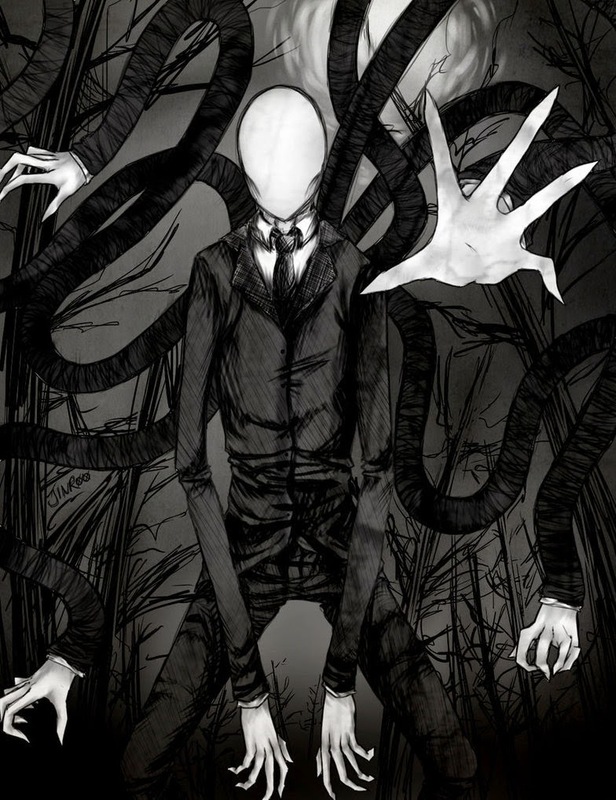 One of my students is fascinated by the Slender Man. As we are having a quiet day in lab, I decided to take this time on Friday the 13th to add something to this micro-fiction phenomenon, and in the process allow Mike to finally meet this tortured soul. As Michael turned the corner, he knew something was not right. The cool June wind cut through his soul, the heavy atmosphere made every breath a challenge. He could feel this unnatural darkness drown his reality. Something or someone was near; standing tall as a shadow stalking his every step. All of a sudden, winding his way down the overgrown path toward his house felt like a huge mistake. After spending some time with some low budget entries, it was time to venture into something a touch more serious. Having spent a lot of time recently diving into Ancient Aliens, it was only fitting that I would find something with a similar theme. 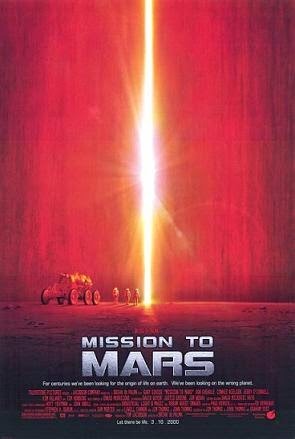 After some thought, I decided to watch Mission to Mars from 2000. Plot/ When the first manned mission to Mars meets with a catastrophic and mysterious disaster, a rescue mission is launched to investigate the tragedy and bring back any survivors.